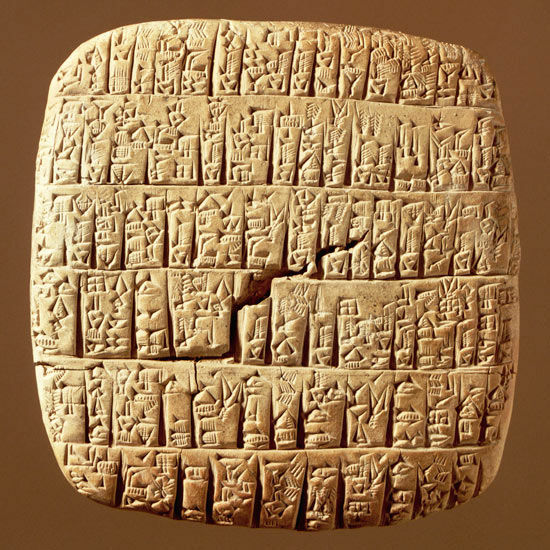 Evidence suggests that the first language to ever be written down was Sumerian, and that writings from this culture date back over 5500 years. These writings were carved and chiselled into stone walls or tablets and were done so using a variety of instruments that ranged from the classic hammer and chisel to less refined instruments like toothed hammers or “writing” axes. The next prominent form of writing could be found in Ancient Egypt, which emerged 500 years later. The Egyptians were also prone to carving on stone, but after another 500 years papyrus became their writing material of choice, and it required a different method of inscribing. The Egyptians developed a sort of ink to be used on papyrus, which was made up of crushed rocks and minerals, and then mixed in with liquid so it could be easily applied to the papyrus. They also needed to develop a tool with which the minerals would be transferred on to the papyrus, and to this end they would get a single reed, and shape it into a brush by manipulating the fibres that they are made up of. 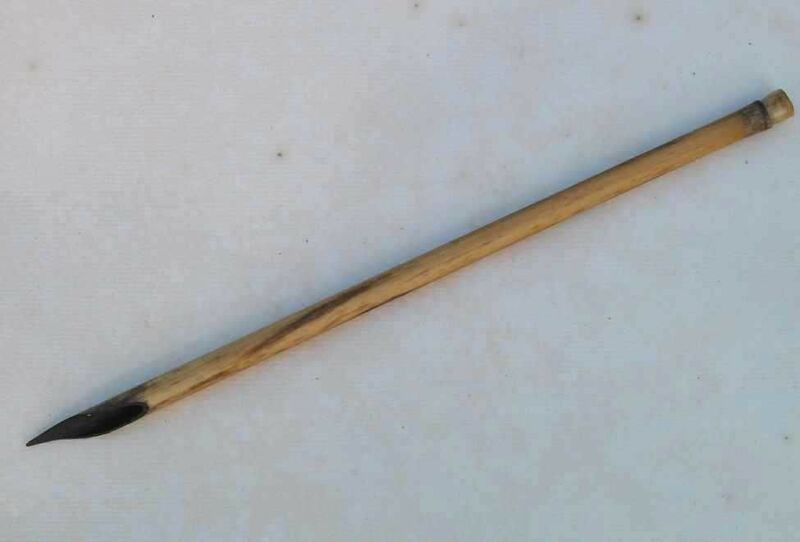 2000 years later this tool would be refined into the reed pen, the first utensil that would resemble the modern pen. The reed pen resembled a very basic fountain pen and worked on the same principle; the ink would be poured into the reed’s shoot and run down into a split nib that would channel the ink. The downfall of the reed tools were that they were quite brittle and would break or dull easily, so they regularly required replacing, which was an issue the renowned feather quills did not have. Feather Quills came to prominence around 700AD in Europe and would last on average a week before requiring a replacement. 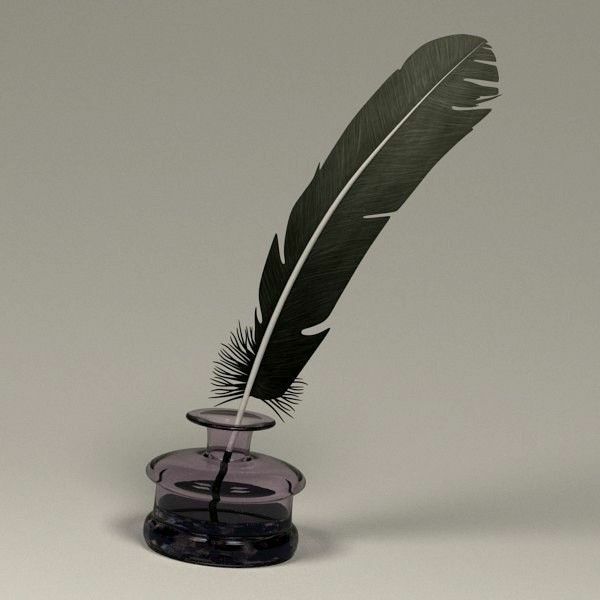 The longevity of the quill would depend on several factors, including what sort of surface was being written on, and what sort of bird the feather came from; for example the ideal quill was supposedly one of the 5 outer feathers of a large living bird’s left wing, harvested during the spring months. The quill retained its popularity for well over 1000 years and while they are still used by some calligraphers today, their popularity was decimated by the advent of the fountain pen. 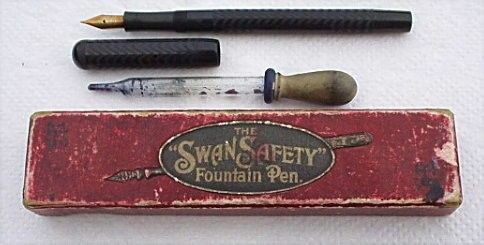 The fountain pen was developed at the start of the 19th century almost out of necessity, as by this time reading and writing was a common skill known by the majority of people and was no longer the closely guarded secret of the church, professional scribes and those few who were rich and academically incline. This meant that quills, which were not overly durable and took time to prepare, became impractical and difficult to supply considering the ever growing demand. The fountain pen was therefore developed, though it took a while for an efficient model to be designed and for over 100 years attempts at developing a durable pen that could hold its own supply of ink were thwarted with prototypes that resulted in spillages, breakages and general inefficiencies that prevented their marketability. Eventually however a working design was discovered and by the 1880’s fountain pens were being mass produced, with a variety of methods of replenishing their self-contained ink supplies. Some of these methods involved using a pipette to feed the ink into the pens body, others involved placing the nib of the pen into a pot of ink and using a cleverly designed mechanism, draw the ink up and into the containment area. The disposable ink cartridges that are pre-dominantly used these days were not developed until the mid-20th century, after the advent of the ball point pen. Unlike the fountain pen, the ball point pen was not created as a result of a need or because new tech had become available, but rather because the inventor, a journalist, made 2 simple observations that inspired him. The first was that the ink from a fountain pen took time to dry, and could therefore be smudged, the second was that the ink used in newspaper printing dried practically on contact with the paper. He became resolute that he would create a pen that would combine the best qualities of his observations, the handheld aspect of the former and the quick drying ink of the latter, but there was an issue. The ink used in the printing press was viscous and too thick to pass down through the canal that fed the ink into the nib of a fountain pen, so a solution would have to be found if his dream was to be realised. Now joined by his brother, the inventors went about discovering a means by which the gelatinous ink could be transferred from a cartridge and onto paper, and eventually the answer became clear to them. A ball bearing. The pens shaft would be designed wide on the inside, to allow a lot of ink to sit at the base and be easily replaced by the ink sat above it upon use, the tip would also be wide, but would go into a slight point, in which a small ball bearing would be clasped. The theory behind it was that as the ball spun around it would pick up the ink from the barrel and transfer it onto the paper once it had completed half a revolution. This would in turn produce a flowing writing motion and the ink in the barrel would seep down the shaft to the nib, pulled down by suction. The brothers had done it, they had succeeded in creating the first ball point pen and with the glowing pride of a new parent, they gave to their invention their own name. Biro. The Biro was ready and it would not take long until its beneficial properties were recognised. 2 years after its inception the RAF were looking for a writing utensil that would still function at high altitudes, as fountain pens were prone to leaking after they reached a certain height. The Biro was brought in to take their place in the air force, as the difference in altitude had no bearing on its ability to write and it could go without being refilled or replaced for long periods at a time. The Biro’s adoption by the RAF cemented its success and it was not long before it gained attention and renown in America. By 1957 the Biro had dominated the European and American market making it the most popular pen in the world. 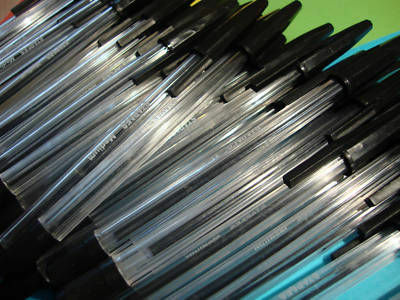 The ball point pen has retained its reputation as an efficient and beautifully crafted writing tool to this very day, and still enjoys unbridled popularity with over 14,000,000 pens sold daily!